Create a lasting legacy through a gift to the Central Florida Zoo. Tribute gifts are a thoughtful way to honor a birthday, wedding, new baby, graduation or any special occasion. They also serve as a special expression of sympathy by standing as a memory of a friend or relative. Your gift to the Central Florida Zoo will be acknowledged with a letter letting the recipient or their family know a donation has been made in their honor or memory. Honor someone special today! Pay tribute to a loved one that has passed with a memorial gift to the Central Florida Zoological Society. Gifts made in memory are a thoughtful way to help uphold a legacy while supporting our mission to be a conservation resource providing experiences that excite and inspire children and adults to learn and act on behalf of wildlife. A commemorative bench at the Central Florida Zoo & Botanical Gardens is a thoughtful and distinctive way to recognize a special person or occasion. In addition to being a meaningful honor, commemorative benches help beautify the Zoo and enhance the visitor experience. Commemorative benches are available for $2,500. If you have questions or would like to make arrangements to purchase a commemorative bench, please contact Janet Wagner, Fulfillment Coordinator at janetw@centralfloridazoo.org or by calling 407-323-4450 ext. 100. Planned giving involves providing for a future gift to the Central Florida Zoological Society through your financial and estate plans. A planned gift can provide you charitable income and/or estate tax deductions, provide for you or your family, and give you the satisfaction of knowing you are leaving a legacy to the Zoo. These types of gifts help the Zoo thrive for future generations and help protect endangered species by supporting our mission of conservation and education. We can work with you and your advisor to help determine the most appropriate way for you to give while achieving your goals. For Advisors: Please let us know when a client provides for Central Florida & Botanical Gardens in their estate plans. 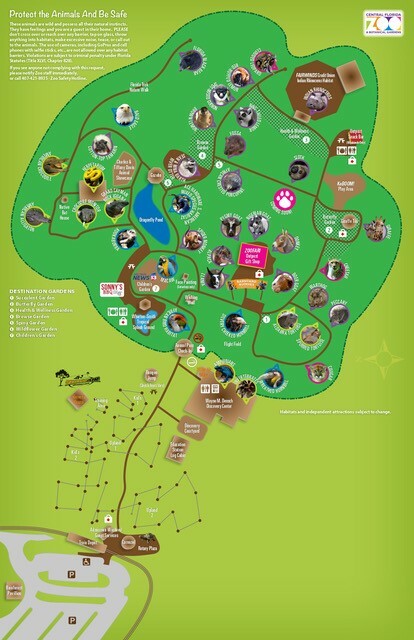 When naming the Zoo in your estate plans, please use our legally incorporated name: Central Florida Zoological Society, Inc. Our Federal Tax ID# is 59-1357197 and our legal address is P.O. Box 470309, Lake Monroe, FL 32747-0309. For more information please e-mail development@centralfloridazoo.org.